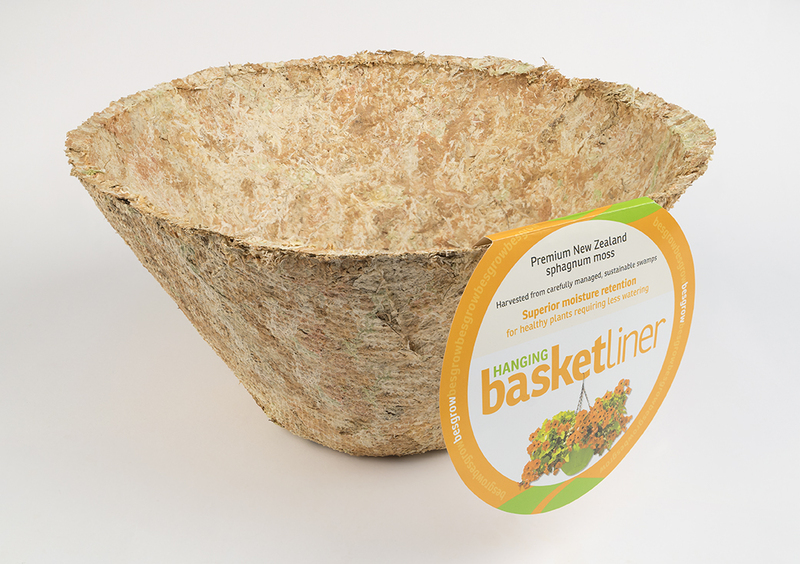 Molded New Zealand sphagnum moss basket liners are manufactured from the same Sphagnum cristatum used in our Spagmoss product line. 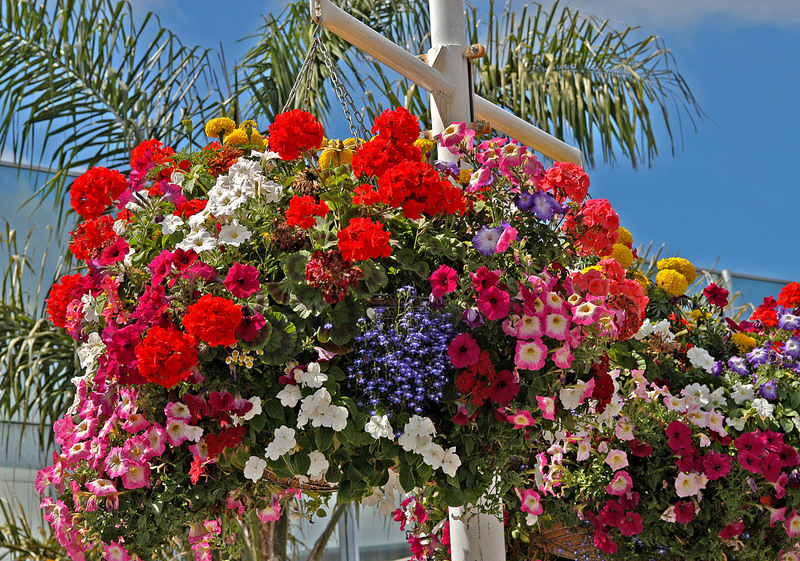 Often referred to as angel moss liners, when combined with our black wire hanging baskets, this premium product results in stunning floral displays. Municipal organizations and professional growers alike use Besgrow basket liners for their annual displays. If you’ve ever been to Victoria, BC in the summer you’ve seen the basket liners in action. Matching wire baskets are available as well. These durable baskets are manufactured with both horizontal and vertical ribs making them perfect for the side planting technique that yields full, lush displays. Rigid wire hangers come with each basket making it easy to hang these baskets just about anywhere. 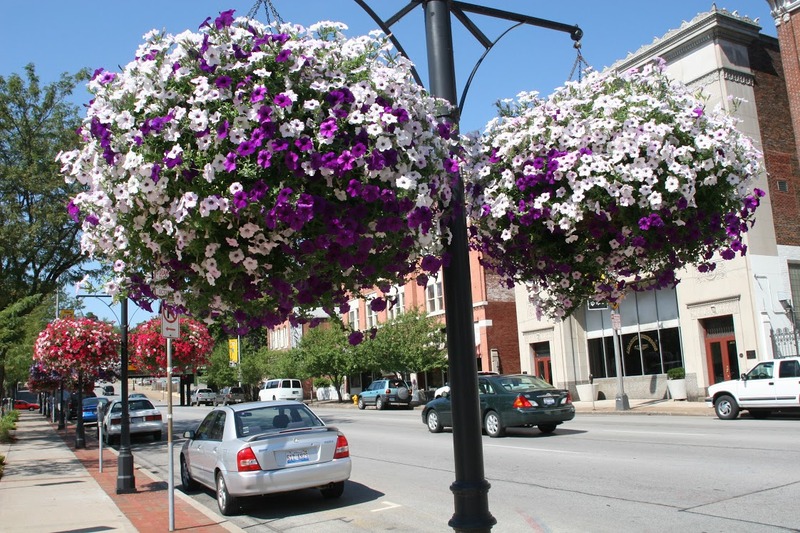 Visit Pinterest to see great ideas for hanging baskets that can be made using angel moss liners.